For the uninitiated, the PipBoy is a wrist-mounted computer, sort of like a mix between an Apple II and Turanga Leela's ever-present watch thingy. 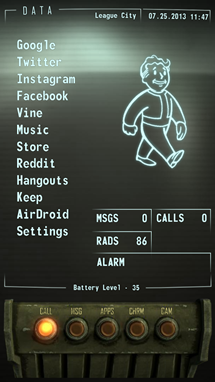 The PipBoy functions as the game's immersive inventory and menu system, and its unique combination of style and utility has spawned several real-world copies. 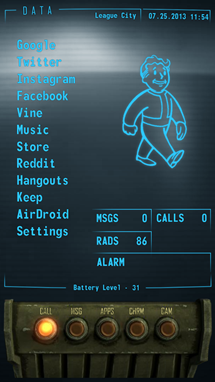 Davis' Nova Launcher homescreen incorporates user-selectable links to a ton of apps, widgets for calls and messages, a battery meter based on Fallout's ever-present radiation metric, and on-screen replacements for Android's default time and date display. 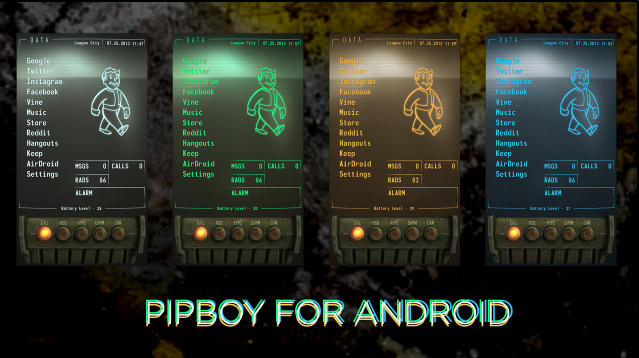 The customized dock copies the PipBoy's hardware buttons for links to the phone, text, Chrome, and camera apps, plus the standard app tray. 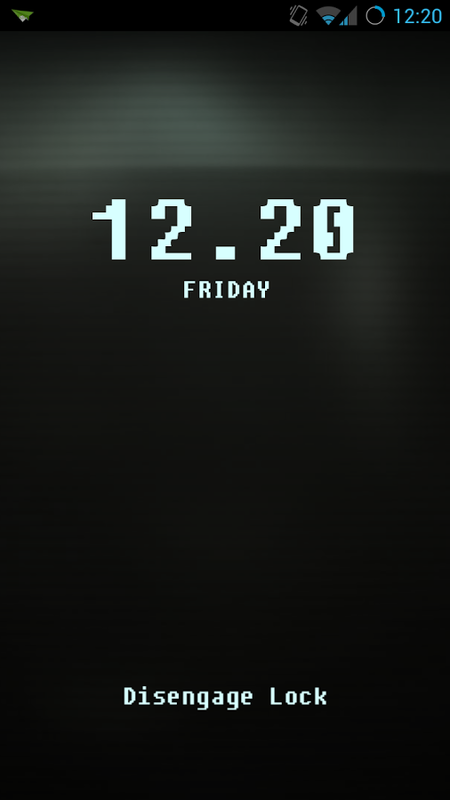 A customized lockscreen is an impressive finishing touch. If you want to copy Davis' fantastic design, he's created both an exhaustive Google+ post and two how-to videos to walk you through the process. The design uses Nova Launcher, the popular and highly customizable UCCW widget, and a custom UCCW skin. The skin comes in a free version and a $1 paid version, which includes white, blue, orange, and green versions of the theme. (One dollar for all this work is more than reasonable.) 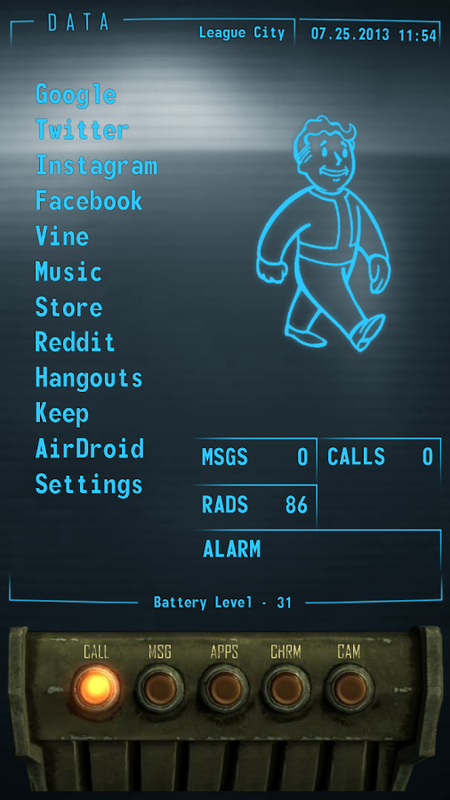 Custom wallpapers and settings files are linked in the Google+ post. 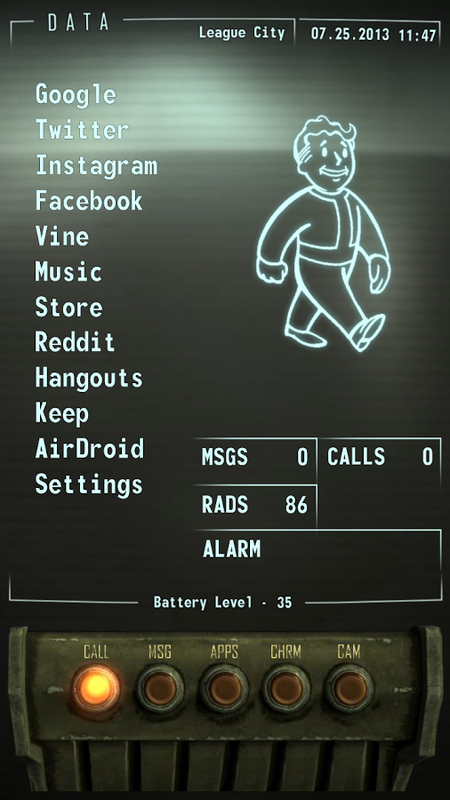 It takes quite a while to get everything working and adjusted, and it will probably take even more work to get this PipBoy theme working on a tablet. 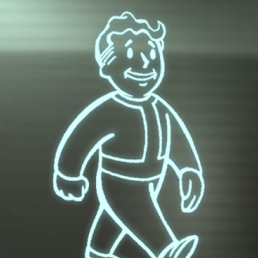 But if you're a die-hard Fallout fan with time and tenacity, it's well worth the investment. If you love this kind of super-customized work but don't have the patience for it, check out MyColorScreen's Themer, now in beta.